On Friday night, we were given a rare opportunity – coverage of the set-up at Anime Festival Asia (AFA) 2012 just hours before it went live. Set at Singapore Expo this year, the event spanned more than 7,500 square meters, with some 100 exhibitors showcasing a wide variety of exclusive Japanese pop-culture products and merchandise. What’s more, cosplay’s a hot topic this AFA, and ’12 will play host to a multitude of celebrity cosplayers from Japan, Taiwan and Indonesia, and joining them will be this year’s World Cosplay Summit Championship winners, Team Shikon. Saturday will see cosplayers picked by these celebrities from the con floor participating in the Regional Cosplay Championship (RCC) Cosplay Singles competition, while Sunday will see teams from around the region duking it out on stage to clinch the team title. Toy Toyota will be screening an animation film from 10 am onwards when titled PES-Peace Eco Smile. The original animation film is a collaboration between TOYOTA and STUDIO4C, and many stores will begin selling their products when doors officially open. Don’t forget to also check out the stage activities in Hall 8! (You can take a look at the program schedule here). Here are some photos from our preview. Day 3 of AFA11 was a bit of a rush. We’d been shortlisted for the Singles Cosplay Challenge, scheduled for an interview at the Nico Nico Douga booth, and had a few early appointments to keep with our cosplay friends, so we didn’t get as many pictures on the ground as we’d liked. One thing we did notice though was that there were more cosplayers out in force on Day 3, pulling off some really amazing mecha, armor and winged cosplay. There were also groups from popular series like Katekyo Hitman Reborn!, Sengoku Basara, .hack, and even rare gems like a Konayuki from Katanagatari and a Skullman (who turned out to be cosplay judge Richfield) on the show floor. While waiting backstage for the AFA Regionals and Singles, we got to chat with other competitors, and even had a photo op with legendary god of Anisong Ichiro Mizuki! The competition itself was a really fun experience (you can watch the full video here, thanks to our friends from Operation PAniC) and in the short time we had left after the competition, we decided to pop by the NND booth (we missed our noontime slot) before hustling around the con venue taking what snaps we could. We’ll be posting a wrap-up piece later, and hopefully our first set of photos from our convention spy. AFA Day 2’s always been a big day for cosplayers, and this year was no exception. When we arrived at Suntec City 9-ish, the place was already jam packed with peeps prepping their props and putting on their make-up in preparation for the con. Of course, we suited up too – it was a great opportunity for us to show off our latest Lady Mechanika inspired Steampunk togs – and it wasn’t very long before we were scouring the venue, snapping photos on our iPhones as we went. Our first stop was the Simply Toys booth, where our part-time warrior picked up a limited edition Kotobukiya Gambit statuette. It was a fitting acquisition, considering how Joey’s ‘Singapore’s Biggest Gambit Fangirl’. Giving this rare gem a miss simply would not do. We dropped by the Artist Alley next, seeing as it was just around the corner, to say hi! to our friends Andy from Toysrevil and Mashi before we headed over to Atelier Royale and Moe Moe Kyun to check out what they had to offer, before starting today’s exploration proper. Joey and I took plenty of pictures, and our convention spy Kah Wee, who was sneaking around doing his thing managed to get a whole ton more (we’ll be publishing Kah Wee’s pics in a couple days). There was loads of awesome – we saw Wild Tiger and Barnaby from Tiger & Bunny, a really epic Kiba from Garo, a pretty decent Shin Getter Robo, and a really kickass Chun Li, amongst others. We also managed to meet celebrity cosplayers Kaname and Usagi, and to chat with Danny Choo, which was kinda awesome. We were also pleasantly surprised to hear that we’d been picked as finalists for the Singles Cosplay Challenge, so we’ll be steampunking the con again tomorrow. Do come introduce yourselves if you spot us! Till tomorrow, peeps (and that’s only a couple more hours to go). Cheerio! We popped by AFA11 bright and early today to check out Day 1, and got a good look at the setup for tomorrow’s con. We also sat in for the Cool Japan forum, and got an earful of some really neat pop culture knowledge and awesome storytelling techniques, courtesy of the guest speakers. Here’s our photo story for the day. Day 1 was pretty fun, even if there wasn’t a whole lot going on and the thoroughfares thoroughly packed by concert goers and Hatsune Miku fans. It was a real shame we couldn’t secure an interview with the guests today, but there’s always tomorrow, when our convention spies and roving reporters are out in full force! Don’t forget to check back here if you’re a cosplayer, because there’s a pretty damned good chance you’ll be featured in our AFA cosplay coverage piece tomorrow. Crimson and Angelus will also be handing out CosCards, so look out for the dude with the glowing cane and top hat! Wondering what the cosplay and convention culture in Europe’s like? Thanks to our London-based correspondents (big props guys! ), we’ve got an article and plenty of photos from London Comic Con MCM Expo, showing just how varied it is. “In the nice, cool 15°C English weather, I rushed down to London Comic Con MCM Expo at EXCEL. It was also the day of the Euro Cosplay Championships 2011, and after a journey filled with treacherous tube changes (no thanks to subway works), we arrived at the con venue. The Expo was held in a dedicated location, and unlike Singapore’s conventions where there are plenty of walk-ins and curious passers-by, the venue was filled almost exclusively with con-goers and cosplayers. It’s certainly one of the biggest cons in the UK and Europe, and contrary to popular belief, there were as many anime and manga characters as there were western pop culture icons (especially British ones! ), with a significant gaming and steampunk presence too. One of the key differences I noticed was the sheer size of the event. 3 convention halls were dedicated to queues alone. After paying 10 GBP for a late entry ticket (after 11am), (early entrants pay 16 GBP to enter at 9am), we entered the show floor. It was huge, easily 3 times the size of Singapore’s AFA and it boasted at least twice the number of people. It sure felt like there was a bigger percentage of cosplayers here than back home. There was also a surprising lack of photographers with their chunky DSLRs. There was a great variety of cosplay all around. It was quite the sight to see popular game characters such as Link and Zelda, as well as a Tauren Death Knight from World of Warcraft come alive. Also, with crafting materials and resources being so readily available, it was inevitable that we’d witness some really epic feats of engineering – we saw a movable Dalek (from Dr Who) made completely from metal, cosplayers such as a Jack Skellington (Nightmare before Christmas) on stilts, and Team Fortress cosplayers armed with a whole arsenal of weapons, as well as a really good Left 4 Dead boomer. The stalls were pretty standard fare and sold the usual variety of character t-shirts, plushies, Figmas, Gunpla, costumes, comic books and the rest. Browsing the merchandise, I discovered that most branded Japanese goods were easily twice the price in Singapore. Gunpla, for example, was charged the same, but in pounds, no doubt due to the high import costs, though western pop culture products cost about the same as they would locally. Surprisingly, metal replica props and weapons were not only legal, they were also cheap (going at 100 Pounds a pair). There were plenty of gems too (if you look hard enough) going at reasonable prices. I spotted doujin from Japan, very old anime VCDs (Gundam, Ghost in the Shell) and Final Fantasy Music Scores. There were way more doujin booths at the convention too, and areas for a variety of famous artists, writers from comics, actors and actresses from pop culture series to meet and greet the fans. Other highlights included an entire section dedicated to modified vehicles such as a real Star Wars Landspeeder and a retrofitted DeLorean DMC-12 from Back to the Future, a robot fighting exhibit and a huge Syfy booth. Naturally, what’s a convention like without the big video game companies? Many upcoming titles were available for fans to try out, such as the new Final Fantasy XIII-II, Ninja Gaiden 3, Soulcalibur V and Street Fighter X Tekken. There was even swag for the fans – the Darkness II booth for example was giving away a free t-shirts! And of course there was Steampunk. The display was simply amazing. It featured a hunter (with his hunting trophies that included a werewolf head that could move its tongue and his guns), a gentleman selling potions for the visitors, posters of airships and other fantastic devices. While MCM Expo was by no means THE steampunk con in the UK, this booth really showcased the best in the genre. Euro Cosplay Championships 2011 was also an eye opener, where the winners of various European cosplay events vied for the right to be called the best cosplayer in Europe on stage. After an introductory video that featured the cosplayers singing, War-Machine kicked things off with a bang by re-enacting a scene from Iron Man 2. The competition format was a single entry, incorporating video playback, and cosplayers had 5 minutes on stage to wow the judges and the audience. It was evident that choreography experience and stage presence was needed for the competition, and it was not a simple costume showcase. The audience was very responsive and they were even encouraged to get in on the act, with a Nintendo 3DS being given to the most enthusiastic audience member. The quality of the cosplay was exceptional – the participants were very into character and they used the stage pretty well (it did help that the stage had a catwalk). A major complaint was the overuse of strobe lights, which made it difficult to see the cosplayer and fine costume details. Notable entries included Lilith (Trinity Blood) from France, who ended her performance with a costume transformation that displayed France’s Blue, White and Red, a Dawn of War Chaos hero from Lithuania bellowing at the top of his voice and the home team’s Skeksil Chamberlin from The Dark Crystal, who won the competition with a dazzling display of cosplay finery and showmanship. If you’ve been following the hype surrounding End-of-Year Cosplay (EOY) 2011, then you’ll probably like this piece of news. * General admission to EOY event with non-guaranteed seating to stall and circle (lv 2) seats in non-VIP area. * Complimentary 1 x soft drink for all ticket holders. * Usage of baggage storage area. 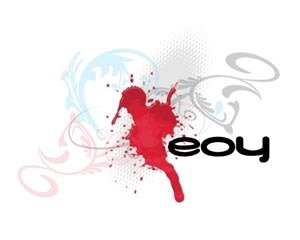 * VIP admission to EOY event with guaranteed seating in VIP front area. * Complimentary 1 x soft drink for all VIP holders. * Complimentary 1 x buffet lunch reception at level 2 between 12 pm-3 pm. * Guest appearance/interaction with Hitomi during VIP lunch reception. Tickets are available via Gatecrash (online purchase), Singapore post offices, SAM machines, TicketCube and retail outlets Pan in the Box & Dark Royalties from 1 Nov 2011 to 16 Dec 2011. There will be a small booking fee for tickets, except those purchased from Pan in the Box & Dark Royalties. We collected a chunk of footage at STGCC this year, and after a grueling editorial process, we’ve finally pieced together a tribute video of the event that’s dedicated to all things cosplay. I’d like to thank everyone who had a hand in making this, our first of hopefully many convention videos, a success. This one’s for you, cosplay fans and cosplay friends. Enjoy!